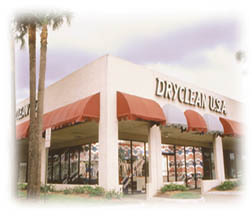 If you are looking for information on the DryClean USA franchise business opportunity, DryClean USA franchises or Dry Clean USA franchising, then you have come to the right place. According to U.S. News & World Report, dry cleaning is one of ten fields that do not sound glamorous, but often make their owners millionaires. Why? Because, "there's never a shortage of dirty clothes." Every day millions of consumers take their clothing to a dry cleaner. Thousands of new types of garments are labeled "dry clean only," which has created an industry estimated to generate $6 to $7 billion a year. It doesn't matter what the latest trend in clothing may be, if it's summer, winter, holiday season, or vacation time. Customers will always have their quality garments cleaned professionally. Even with the proliferation of "casual work days" or "wrinkle free," a vast majority of these garments still need to be professionally cleaned and pressed. DRYCLEAN USA and the dry cleaning business presents entrepreneurs who have the desire and drive to succeed the opportunity to serve consumers while living the American dream - owning and operating your own business. If you choose to become a master license developer, you will be responsible for the development of a pre-determined number of stores in your exclusive territory. This can be accomplished by opening your own locations, developing sub-licenses in your area or a combination of both strategies. Success as a master license developer can be measured by sharing in the successes of the stores operating under your master license agreement. As DRYCLEAN USA continues to make a brand name marketing impact from coast-to-coast - master license developers become the foundation of the company's strength and presence in the marketplace. As a single "plant" store operator, you will share in the strength of the DRYCLEAN USA name while realizing the entrepreneurial freedom of owning a business that is part of a multi-billion dollar industry. You will have the flexibility of treating virtually any type of garment in your store with some of the finest equipment available in the industry. Successful plant licensees have the opportunity to open additional stores. If you open a "plant" store, and qualify for another store, you may apply to open another "plant" store or a "drop" store. 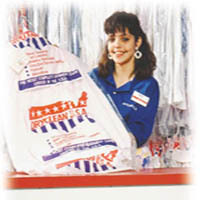 A "drop" store is a location where customers drop off their garments which are then sent to a full-service DRYCLEAN USA plant location for processing.